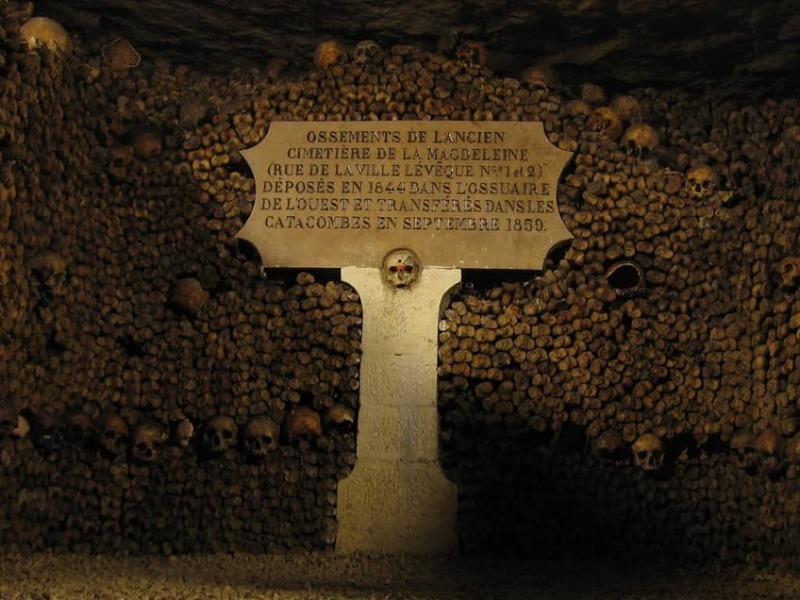 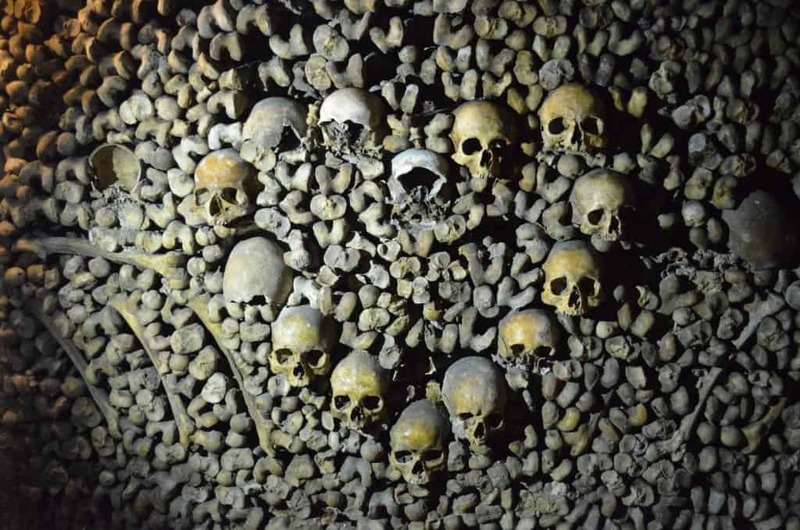 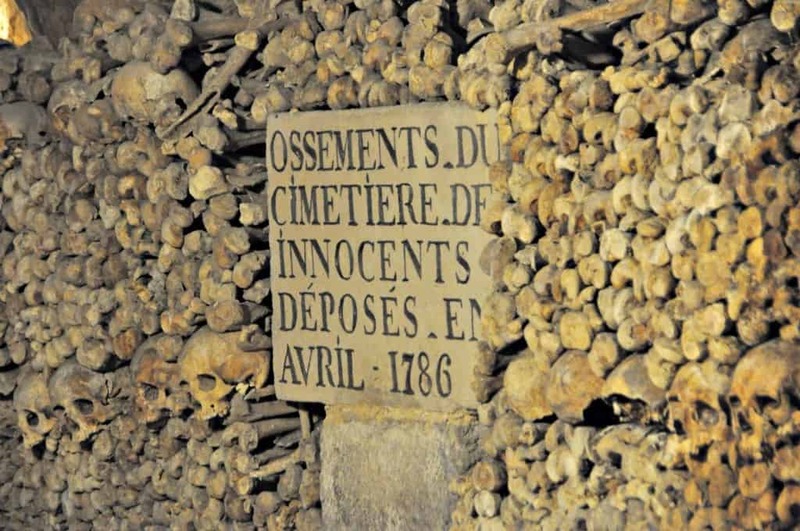 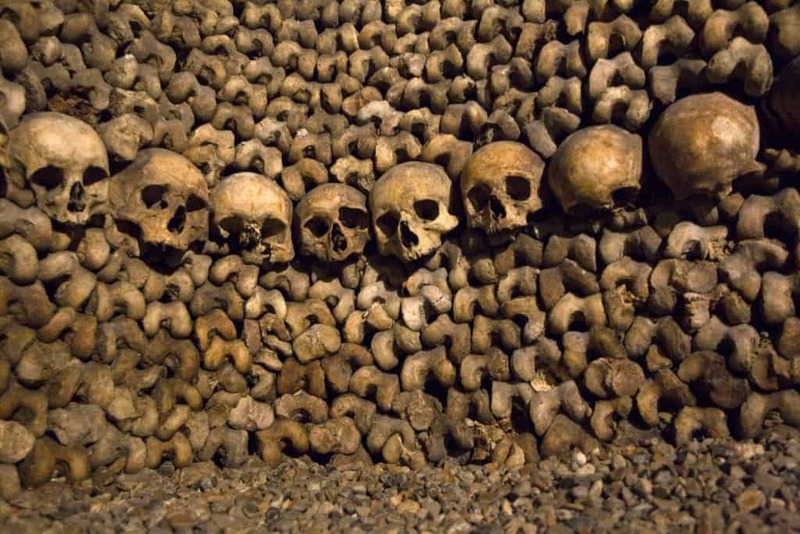 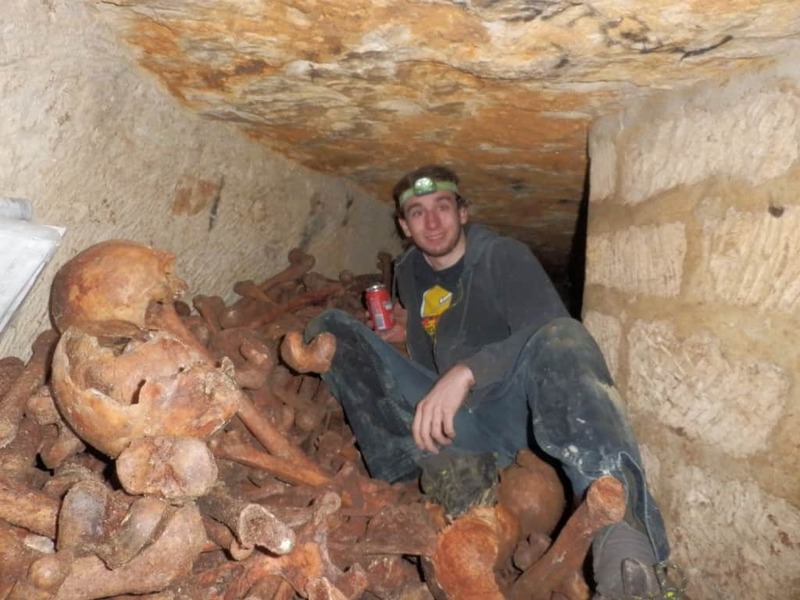 In order to reach the catacombs, one must walk down 130 steps, 60 feet deep into the Parisian underground. 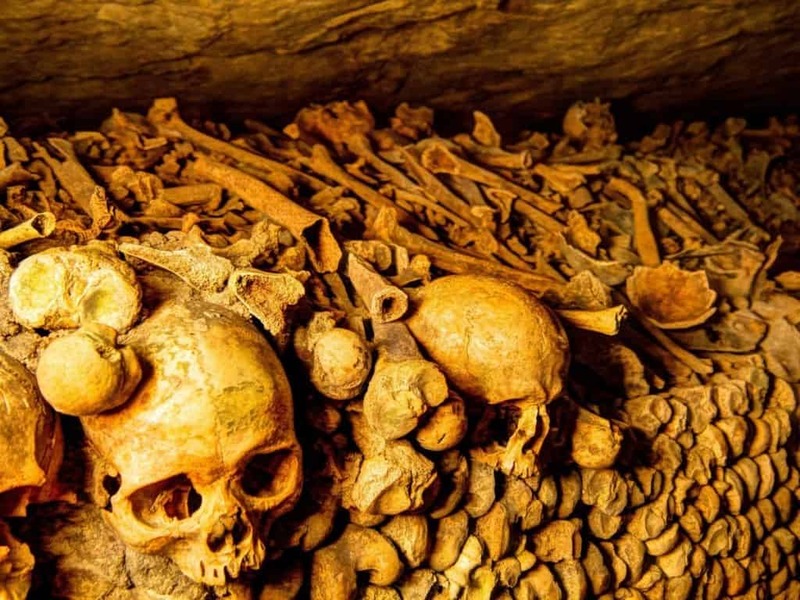 Narrow and slippery stone passages that are adorned with musty, humid air will spook even the least claustrophobic people. 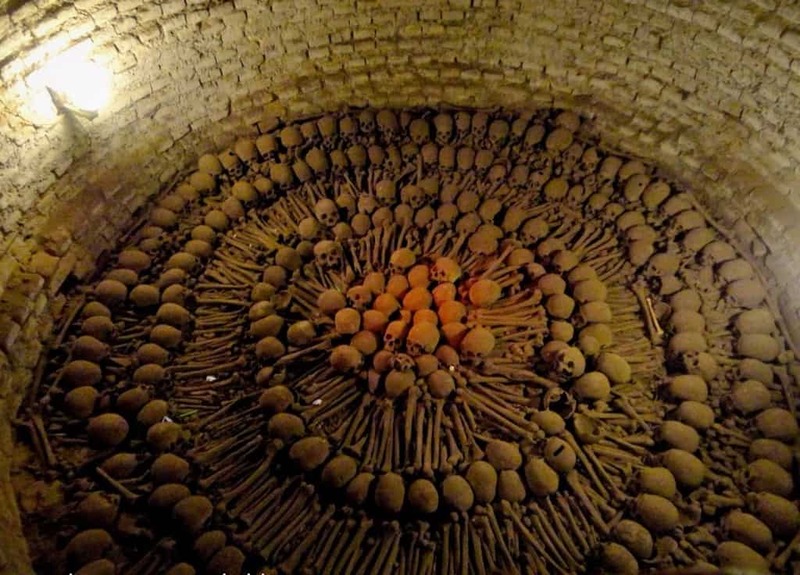 Some of the placements of the skulls and bones was even arranged in an artistic way, often shaped to resemble a heart or a flower. 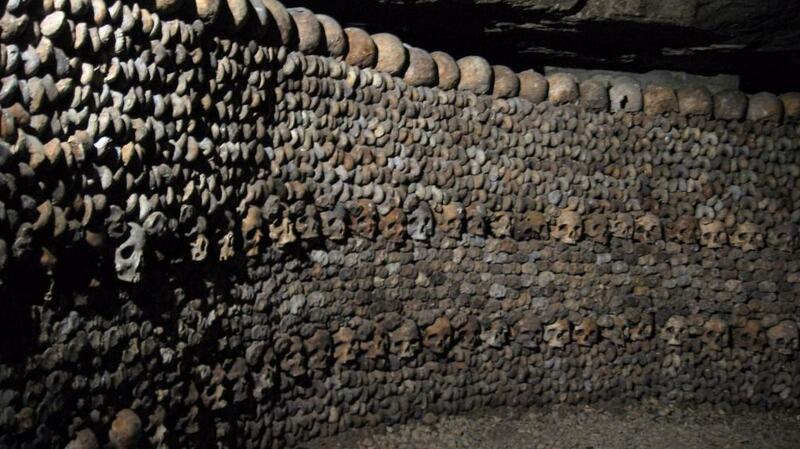 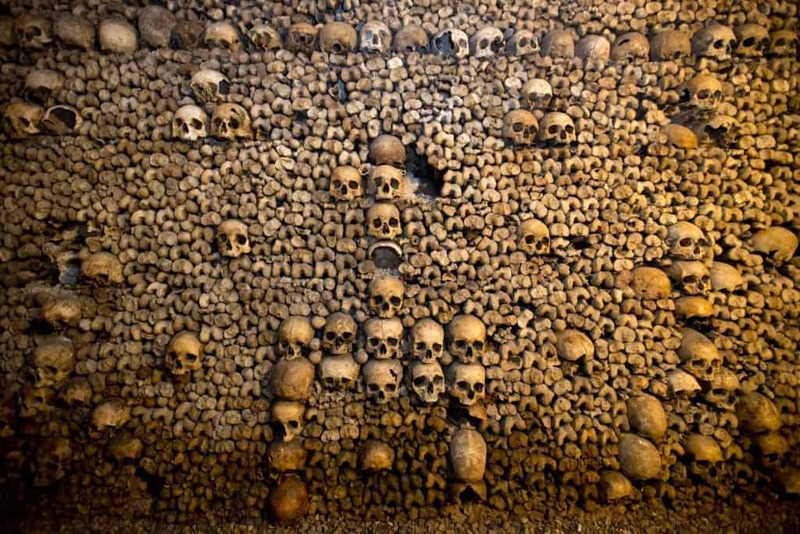 Many tourists claim that they’ve felt the skulls staring at them while passing through the catacombs and testify to the experience as being overall very scary.